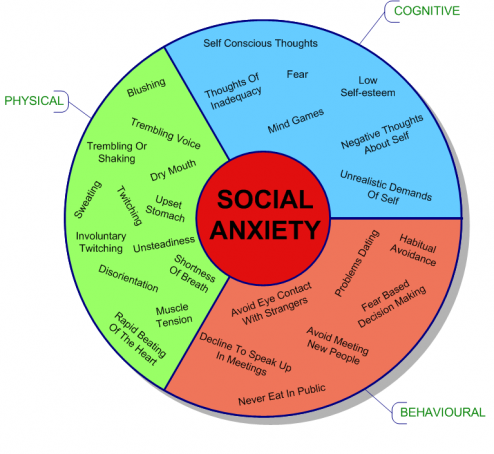 Back in March of 2013 I wrote a post about anxiety. It was a pretty hard time in my life, with my last year of university, exams, no real prospect for a good future ahead…you can read about it in this post, if you’re interested. I have received a lot of e-mails asking me to write more on the subject and I never did, because it is something extremely personal to me. But when someone wrote me telling me they suffer from social axiety, but no one believes them because they’re really outgoing and not shy, I decided it was probably a good time to write about it again. Social axiety is not the same thing as being shy. I am a pretty outgoing person…seriously, I speak to anyone and everyone! But I have always felt somewhat uneasy in big crowds. Don’t ask me why, I just start feeling like the space around me is getting smaller and smaller and I can’t breathe and if it’s bad enough I need to step out of the room. I kept it a secret for years. I’d rather have people thinking I was being rude by leaving the room, than having them know the truth. But usually I can handle it pretty well. I don’t like people behind me and I always need to know where all the exists are, but I know how to not let it take control of my life. Not anymore. Last year it was so bad that I needed to see a psychologist. I.Hate.Psychologists. My Mum’s a psychologist and I love her. Because she’s my Mum. Regardless, I need to admit she was a key piece in my getting better. This time, unlike the first time I tried opening up to her, she actually listened to me and realized there was indeed a problem. She gave me tools to work on, calming exercises and so on. She never judged me and she undersood, or she tried, as much as she could. In my particular case, I had a trigger, but that is not always the case. I had a traumatic event back in 2011 and it was the start of the snow ball. I am not going to say it was PTSD (post traumatic stress disorder), because I like to belittle what happened, but if I had to give it a name, that would probably be it. Since that event, I started having irrational fears of going to places with crowds or where I could be somehow “cornered”. Soon enough it started happening whenever I had to go to school, get on a crowdy subway or even just on family events. My Dad didn’t know how to deal with it, because he didn’t understand and I didn’t know how to explain what I was feeling. At times, I would just cry uncontrolably or run (yes, literally run away!). I remember one time I was with my friends Cátia and Hugo at the uni and they asked something about graduation, I felt pressured for no reason and I literally bolted! I stood up and ran away…I bumped into my friend Alex who realized what was happening, stopped me and was able to calm down. But most of the time, people just thought I was crazy. I thought I was crazy. I, very relunctantly, decided to go see a psychologist that the university provided at a low rate. Let me just say this: you get what you pay for. That did not work out and it was only when I first started visiting my endocrinologist, that she realized there was a problem. She, very lightly and in a very sensible way, brought up the issue of depression. I remember on my second appointment with her, she ended up calling the psychiatrist of the clinic and lets just say two hours later I had told them more about how I felt than I’d ever admit to myself. It was liberating and terrifying at the same time. Like many, or most people out there, I too had a completely different conception of what a depression is. I thought someone is only depressed when they feel down all the time. I had never before considered the thought, because I thought it was something that needed a reason, a trigger, something that only happened to others. But the thing is, I did have triggers. I did go through enough stuff growing up that gave me some “reason” or, how I like to call it, an explanation, for me to feel the way I did. I got heavily bullied while growing up, more than I’d ever admit. I was too scared to tell my parents, to tell anyone. Not because they’re not trustworthy or because I don’t love them, but because somehow, for some reason, I just never thought I could trust it to anyone. I never trusted anyone growing up. I would make up stories, because I didn’t want to deal with my feelings…it was my escape. I would spend hours and hours writing on the computer, making up characters, pouring my feelings into a word document. But I never trusted anyone with all that. I felt alone and confused and hurt and scared and unloved and terrified and dumb and not good enough and I didn’t know how to deal with all those feelings. I felt like I was always pretending to be someone else, because I was always pretending to be someone else!!! Up until a couple of years ago I was never myself. I would be and act like I thought I should and not how I wanted. And it made me miserable. And the irony of it all is, it was once I started being myself, that I made the friends I still have today. I met wonderful people when I stopped pretending to be someone else…people who are still there, even 3000km away, good and true friends that will last a lifetime! I left the doctors office that day extremely nervous, to say the least. My appointment took three hours. I had never before been so well treated by any doctor, they usually just want to get rid of their patients. In this case, I got way more than what I paid for! With the supervision of the psychiatrist, I started taking an “antidepressant”. I put it betweet quotes because, to be quite frank, I don’t believe I have a depression, and that is also not the reason why I was prescribed it. The medicine they prescribed me was to help me lower my anxiety levels, that were to a point where it was affecting my daily life, and to help me deal with my feelings. Basically, it was to help me deal with stuff like a normal person and not like the lunatic I had been the months before. I did not believe it would help. About two months later I had a fight with my Mum. We love each other to pieces, but we’re both very strong minded, have very strong personalities and when we colide, we colide. (the apple does not fall far from the tree, right?) Before that day, whenever we fought it would end up in tears, not talking for hours, hurt feelings and pride hurt. But that day, I was able to actually say what I was feeling. I realized I hurt her with some of the things I may have said, but I was coherent, I was calm, I was….normal. Not the lunatic, not the crazy, yelling, crying person that was unable to express her feelings. And that was the moment I realized, looking back, that the medicine did indeed help. It did not take my fears away, my insecurities, my “bad days” (which is what I like to call those days when I’m feeling down or what other people would call depressed.). But it helped me learn how to deal with it. I learned to let go, not to be perfect. I learned that it’s ok to have a depressed day. One depressed day. It’s ok to cry when something bad happens, it’s ok to feel bad, it’s ok to let it out. And then move on. I let myself have a good cry, when I feel I need it. I let myself have a bad day, after a breakup. But then I move on, I almost force myself to smile and you know what? It comes naturally now! I don’t even need to try, to pretend…my smile is truly genuine now and people can see it! Depression is not something to be taken lightly. But, in some cases, you do have the power. Don’t get me wrong, there are cases where your brain doesn’t make the hormones it should and that is when I believe depression truly is a disease. But most of the time, I think people nowadays like to diagnose everything as a depression! Had to go through the loss of my first pet on my own. I think I actually did a pretty good job on not going insane or totally depressed! 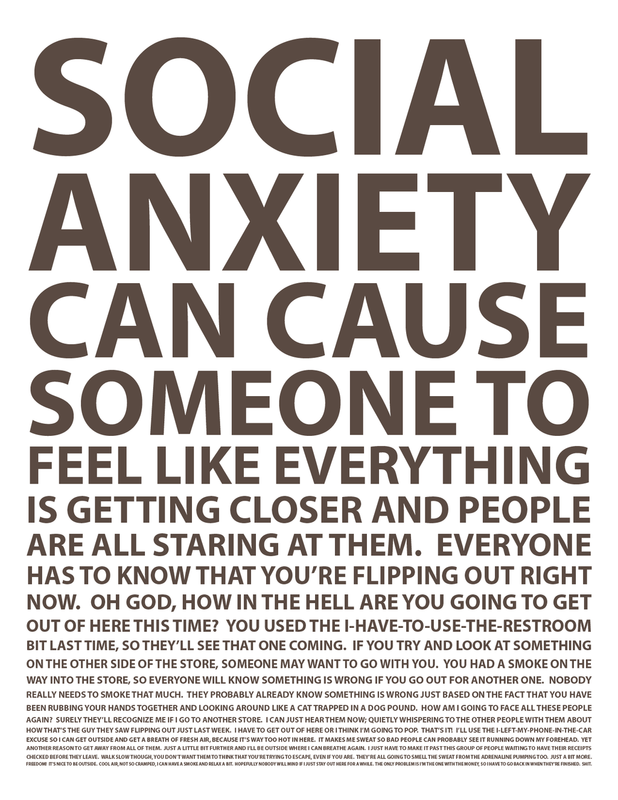 Social anxiety and depression are real things. Are real issues that affect way more people than you might think. But they’re not like threatening, they’re “treatable” and controlable. You should never assume that you know. Because, you know what? Most of the time, you don’t, unless you’ve lived it. I deal with these things on my own now, because I can and I know how to deal with them. But I also learned to ask for help and that crying, being scared, being afraid, needing help are not things that make you weaker….it’s accepting them as part of your life, accepting the issues, the anxiety and depression or whatever you are struggling with, accepting it is taking the control! Don’t ever belittle someone’s feelings…don’t make fun of someone who is scared of going into a crown…because, trust me, they’re more terrified than you could ever imagine. Show them you’re there, but let them deal with it. When they feel ready, they’ll ask you for help. Rosie Cooks: Tortellini with green Pesto! Previous Post Heart to heart: Take chances!